EPUB 3 -> add specified fonts meta in package.opf and voilà! fonts work. Attribute a class to del, define text-decoration:line-through for class in CSS. When del isn’t supported, it will degrade to a span with a strike through. iBooks actually does recognize CSS font-family calls on both and — you just have to include true in either the opf file metadata or in an added com.apple.ibooks.display-options.xml file. It’s detailed in iBooksAsset Guide (5.2 is the most recent version). Sadly, neither is really a suitable solution unless you hand-craft your ePub files, which very few people do. So it is just another hack. Different from the one I am using, but a hack nonetheless, because Apple is not properly following the standard. Sadly, Calibre doesn’t have an easy way to inject meta data into a book permanently. You would have to do it every time you rebuild the book, so I do not see how this would be a more desirable solution than the one I offered up. At least my solution is entirely source-HTML driven. Aside from that, the display-options.xml solution is outdated and is no longer supported with EPUB3 books going forward, from what I’ve been hearing. My favorite bug regarding fonts and KF8 read on Kindle PW1 and PW2 is so called “helvetica bug”. If you use some embedded font only for headings and similar things but you don’t set default font family in body tag CSS (font-family: serif;) then when you turn on “Publisher font” all the paragraphs that are not using your embedded font are displayed as sans-serif , using Helvetica font. Or the other bug if the paragraph CSS classes code contains crap like “font-family: Times” or even just “font-family: serif” (without adding the same line to body tag CSS code) text is displayed as Caecilia even if you change to other built-in Kindle fonts. Do you honestly think bloating (Thérèse is on orner word) the markup is a suitable solution? I’m honestly asking the question as it could turn really really bad for accessibility (something like 20% of the world’s population is impacted). Semantic markup should be sacred in my opinion and bloat is a proof of bad quality, a.k.a style over semantics. That’s what we are trying to explain to InDesign developers, a software which is outputting the biggest *four-letter word* in the world and whose developers should go to hell since they are insanely incompetent when it comes to EPUB. Really. If Apple is not following standards but offering a solution. Let’s use it. As people who care, the second we stubbornly enforce style, the standard is bleeding. To me compatibility is the most crucial aspect and with that in mind, the mark-up solutions are definitely the best way to go about it. It is simply not an option for me—or most authors who want to self-publish their books—to learn the idiosyncrasies of every single device in the market and then try to address it with customized channel builds. Apple is offering a solution, well, so am I, and mine does not require you to drill deep into the ePub package. 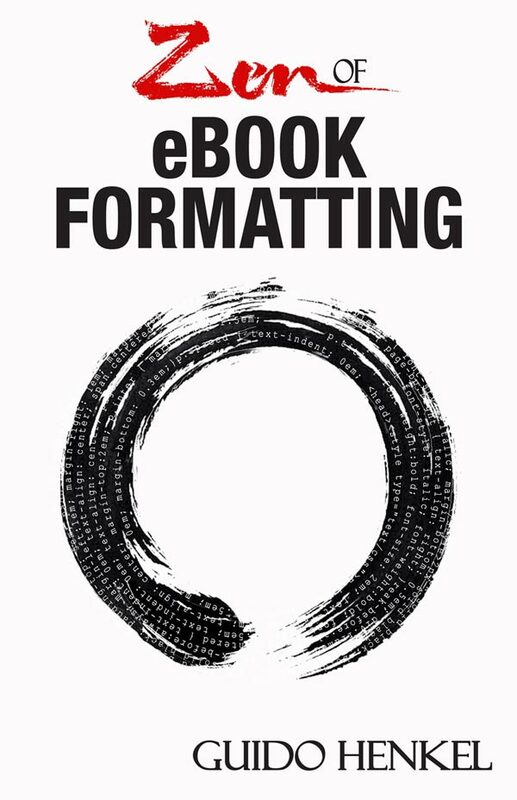 With the growing market of eReaders it is impossible to keep track of all firmware bugs, new ones as well as legacy issues, pretty much all of which are addressed by my strategy. Since I have not seen any side effects regarding accessibility, I see absolutely no reason why defensive programming and preemptive mark-up should not be preferable to strictly-by-the-book coding. So far my practical experience with this approach has been and until such time that I see reasons, aside purely academic ones, to take a different route, I will try to address firmware issues with mark-up as best as I can. Rebecca, I could find only iBooks guide “5.1 revision 2”: is that the latest version? I agree with what Guido said, but i’m using a different approach: making a “standard” epub for Kobo/Nook/ADE and a different one for iBooks, plus one for Kindle (ported with previewer rather than Calibre). I prefer to edit the code in Sigil and use a text editor to paste it there after. ATM looking into device recognition to put into the CSS… It’s possible to recognize a Kindle Fire, maybe iBooks too (after all it’s just a software), but I’m afraid that I wont be able to code all the necessary differences in there, so I’ll end with a minimum of 3 ebook formats.